I always get a ton of questions about my shorts whenever I post a layout picture on Instagram. "Where are those shorts from?" "Where can I find those shorts?" 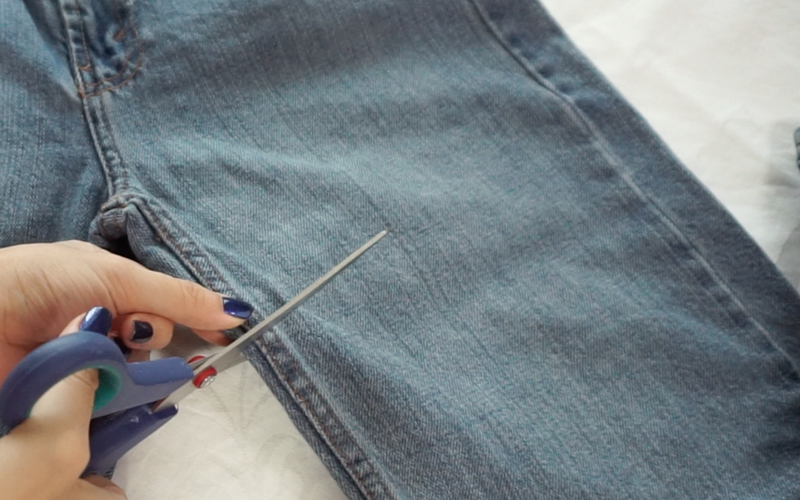 So, to answer your questions, I did a short video on how to find and make these tumblr af Levi's high waisted shorts. You can turn any pair of denim jeans into shorts simply by cutting them, but if you want the super tumblry kind that you see all over the Internet, then you'll be needing some Levi's. You can visit your nearest thrift store to see if they have any. Otherwise, I like to hunt for them over at eBay. They shouldn't cost more than $10-20 for a pair so it is relatively cheap and simple to get them. For reference, I am a size US 0 (24" waist). For my size and frame, I find that the boys sizes fit best because they already come in with a mid-high rise as compared to girls sizes. I find that 10R-12R/25W work best for me. They fit just right at the waist and not too tight or too loose at the hips. It is advisable to ask about the actual waist measurements of the jeans because the tagged size does not always mean that the actual waist measures the same. You may end up with something too loose or too tight and Levi's denim do not have much stretch. 14 Slim works for me as well but 12 Slim is a tad tight at the hips. If possible, I like to go for those that are tagged "relaxed fit" since they have a nice shape to them. Cutting them is easy peasy. If you plan on simply cuffing the shorts, then leave at least 3 inches of inseam so that you have enough to fold. No rocket science involved in this. You can simply cut them diagonally upwards and fold them or cut the front slightly shorter than the back and fold. If you want to make frayed shorts like those you'd find on RunwayDreamz, then cut the shorts slightly shorter. You'd want to focus on making the front part shorter than the back. The shorts curve at the front to give the illusion of longer legs and also have a slant at the sides. RunwayDreamz shorts have very thick frayed edges so keep that in mind when cutting the shorts or you'll end up with something too short. Go in on the edges with your favorite distressing tools. I like to dig at the edges with my fingernails to loosen and separate the white and blue threads before tossing it in the wash. This ensures that the edges become really really frayed after it comes out of the wash. It will definitely be a little tedious and time consuming - which is why RunwayDreamz shorts are so expensive. 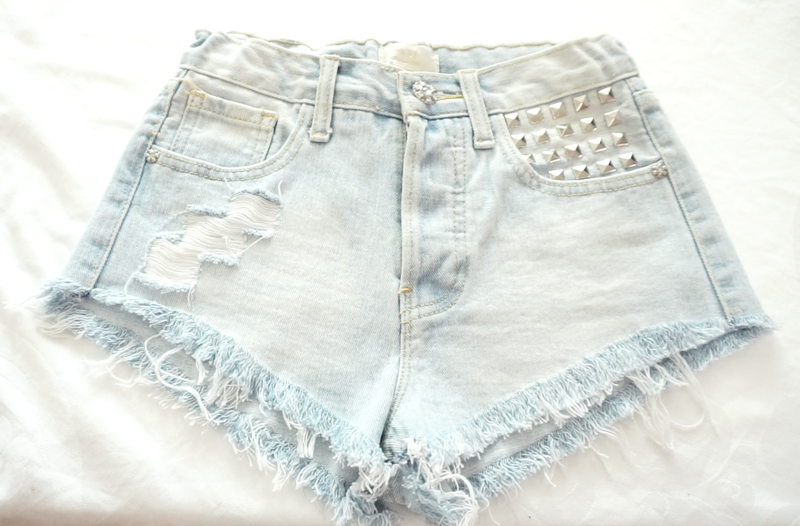 You can continue to cut and make distressed patches on the shorts and stud them to achieve a more tumblr look. I made this pair using shorts from Forever 21. The hems definitely still need a little more fraying but I think I've done a pretty good job so far.